What Goes in My Brown Bin? At Brown Bin Rescue we supply you the householder with the compost bags or compostable bags or compostable bin liners that you need to line your Brown or Bio bins, even wheelie bin liners which are a very thin plastic film not as heavy as black sacks, which act as a bin liner or bin liners to line your rubbish bin or black bin even your green bins often referred to as a wheelie bin or wheelie bins. We now provide a new 13 litre Paper bag or kitchen caddy paper bag or aerated kitchen caddy paper bag, totally compostable and made from a renewable resource. 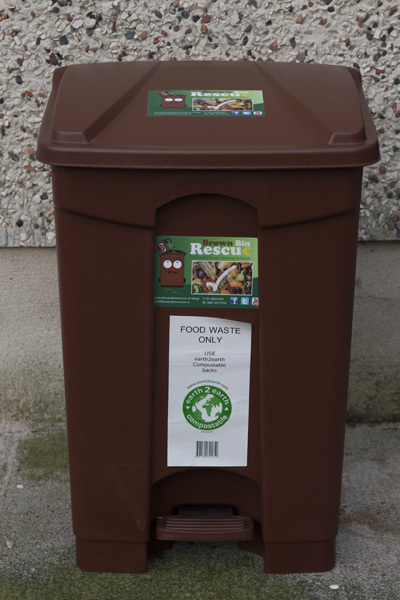 Householders struggle with recycling and with their recycling bins or household bins and waste bins, not to mention kitchen bins, pedal bins and swing bins. Then trying to source and understand the correct pedal bin liners or swing bin liners is further made confusing with terms such as biodegradable bags, bio bag, degradable bin liners and even biodegradable bin liners. Then the question is are biodegradable bin bags, poly bags, bio bag, plastic bags, biodegradable plastic, even degradable bags are they the same as Compostable liners? The answer of course is No! 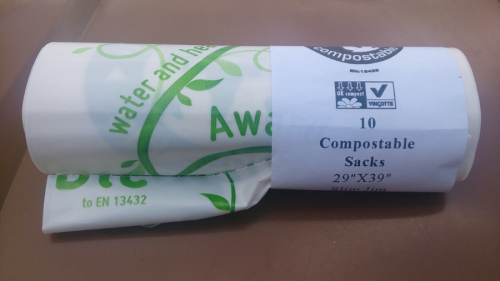 Only Compostable liners / bags can be used in a Brown bin or kitchen caddy. 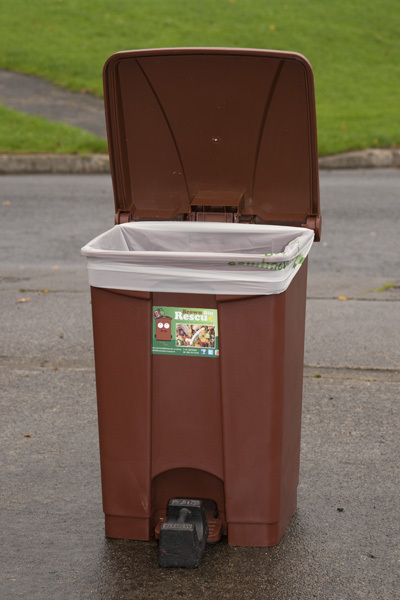 So whether you are composting at home with garden waste and household food waste to make your own compost, or prefer to use a contractors compost bins, the job is made much easier using our Aerated kitchen caddy or compost caddy along with your lined Brown bin. You are happy knowing you are doing your bit for recycling and the environment. Irish Greensax brand new Compostable dog poop bags a first in Ireland permitting dog poop to be put into a Brown Bin, yep most if not all refuse collectors permit domestic levels of dog poop in Brown bins now. Finally to get your bins wheelie clean we have a partner offering wheelie bin cleaning, making wheelie bin storage cleaner and healthier especially when kept in close proximity to your home.